The very government that arrested you and now holds you in their zero-star hotel wants 100% control of your bail options. They expect to accomplish this by continuing to demonize and attempt legislation against the bail bond industry. Despite the effectiveness of the system, it faces harsh criticism from attorneys to judges who seem to be offended that someone let the bail bond industry into their elite members-only club of highly educated professionals who hold the reigns of justice. Dave wasn’t the sharpest knife in the drawer. He worked hard but because he was always helping his kids, never seemed to have two dimes to rub together. He was arrested on a failure to appear charge that he forgot about. The bail was $5,000. There was no way Dave or anyone he knew had that kind of money. For $500 however, Bail Bonds Direct guaranteed his bail. (He was later acquitted) Without Bail Bonds Direct, Dave would have lost everything while awaiting trial. So, what is the main complaint against the above system? First, despite Dave’s attorney, the judge who is paid a big salary, plus all the other full and part-time employees of the court, the opponents of bail bonds are upset that a private non-government entity made money helping a less-fortunate soul. This ridiculous attack is levied despite the private status of attorneys and the money made by the courts. Likewise, the attack on the bail bond industry smacks of hypocrisy seeing that courts ignore with impunity the Constitution that prohibits excessive bail. 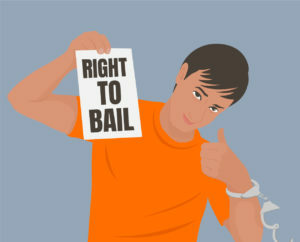 Current bail amounts without a bond system would destroy the lives of the common man who lives below the poverty line. Innocent people would lose jobs, homes, and families while awaiting trial. Even though Dave, above, wasn’t guilty, the system is set up to punish him any way. Without the bond system, your accuser would hold all the keys to your freedom before your trial. The overcrowded condition of the states that allow no private bonding for bail should indicate how ineffective government control is. In the frenzy to discredit private industry in general and specifically the bail bond industry as mere profiteers of the unfortunate, we may be allowing ourselves to take justice out of the hands of the people and place it permanently in the hands of the state. If we continue to allow states to close this particular access the common man has to his or her freedom before trial, then we might as well admit that the concept of presumed innocence may be dead.